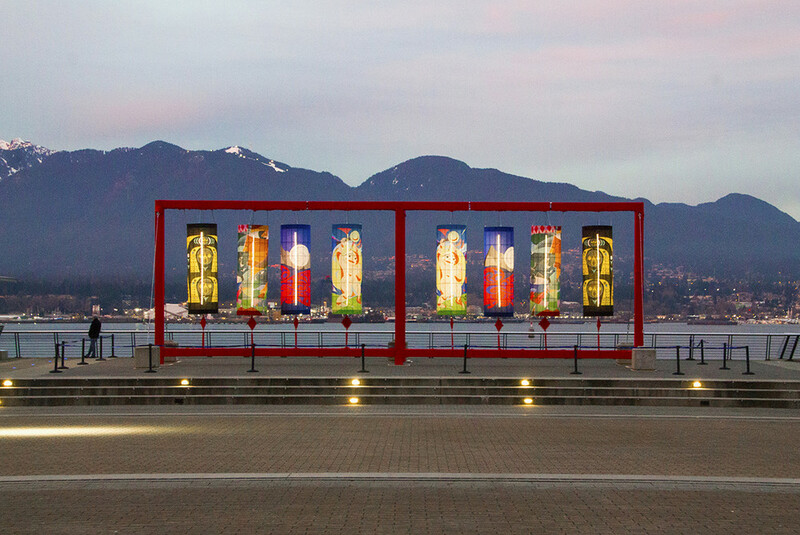 Set against a backdrop of North Shore mountains, the bold and beautiful Coastal Lunar Lanterns at Jack Poole Plaza cannot be missed. The larger-than-life lanterns are part of a new art installation to celebrate the Lunar New Year and will be available to view in the plaza next to the Vancouver Convention Centre from January 30 to February 18, 2019. What better way to kick off the Year of the Pig than by soaking in these truly exceptional lanterns in one of the most iconic locations in the city? The unique art display consists of eight gigantic lanterns that will be lit up nightly as a beautiful spectacle for onlookers and passersby to appreciate. The lanterns are a featured element of LunarFest, an annual festival that consists of family friendly activities and entertainment around the city to celebrate Lunar New Year. These lanterns are a stunning display of the union of indigenous and immigrant cultures, created using the designs of indigenous artists from Squamish, Musqueam and Tsleil-Waututh along with a Taiwanese indigenous artist from the Zihing tribe. 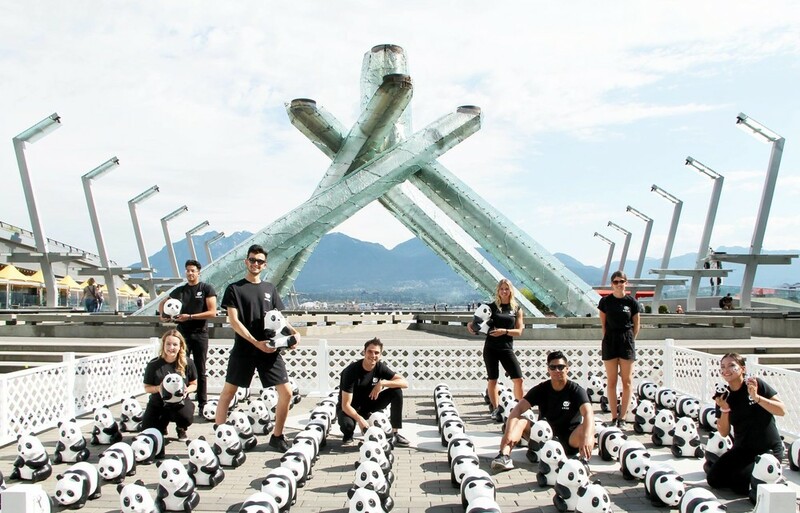 This latest installation at Jack Poole Plaza aims to bring people together in celebration, a key focus for the outdoor space at the Vancouver Convention Centre since the lighting of the cauldron there for the 2010 Olympic Winter Games in Vancouver. Whether it be gathering for a kick-off celebration, bringing attention to a global issue or just to do some group yoga, the iconic Jack Poole Plaza is a picture-perfect location to bring people together for what matters to the community. The space can be leveraged to raise awareness and provide public education on serious issues as well. 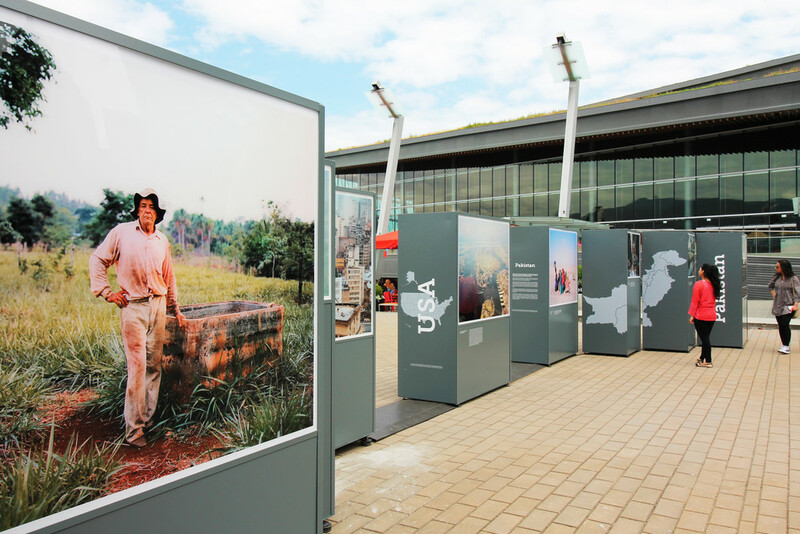 For example, in July of 2017, an American photographer brought attention to the plaza once again with his powerful photographic exhibition titled Water Stories: The Global Water Crisis in Pictures. Mustafah Abdulaziz’s images from China, India and Pakistan were meant to draw attention to the effects of the global water crisis on people and the environment. Set against the spectacular North Shore landscape, a far separation from the celebratory tone of the Coastal Lunar Lanterns. 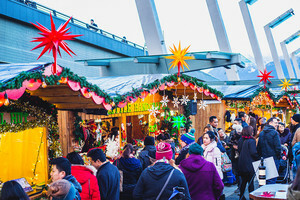 The Jack Poole Plaza, however, serves as the perfect home for both communities and experiences. When you are in the heart of the city, with nature as your breathtaking back drop, there is almost no limit to what can be created or envisioned for this outdoor space. Even a flash mob consisting of dozens of papier-mâché pandas, presented by the World Wildlife Fund and artist Paulo Grangeon, has taken over this space to garner the attention of the all those who passed by to raise awareness for wildlife conservation, pandas and sustainability. For now, the Coastal Lunar Lanterns sit still on the plaza, inviting locals and tourists alike to come and gaze upon the breathtaking lanterns as we celebrate the Lunar New Year. 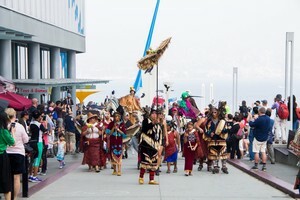 Don’t miss out on this amazing installation and stayed tuned for the next experience the Vancouver Convention Centre will bring to Jack Poole Plaza in collaboration with its community partners.